The Community Advisory Committee consists of representatives from community organizations, groups, and institutions with key expertise and local knowledge about the future of Southpoint Open Space. The public is invited to attend and observe the Community Advisory Committee Meetings, and there will be a designated time at the end of each meeting to hear from the public. There will also be comment forms available at each meeting if public attendees want to submit their input or feedback in writings. Check out the Project Library to view meeting material (including agendas, presentations, and other relevant information) from all Community Advisory Committee Meetings that have taken place. 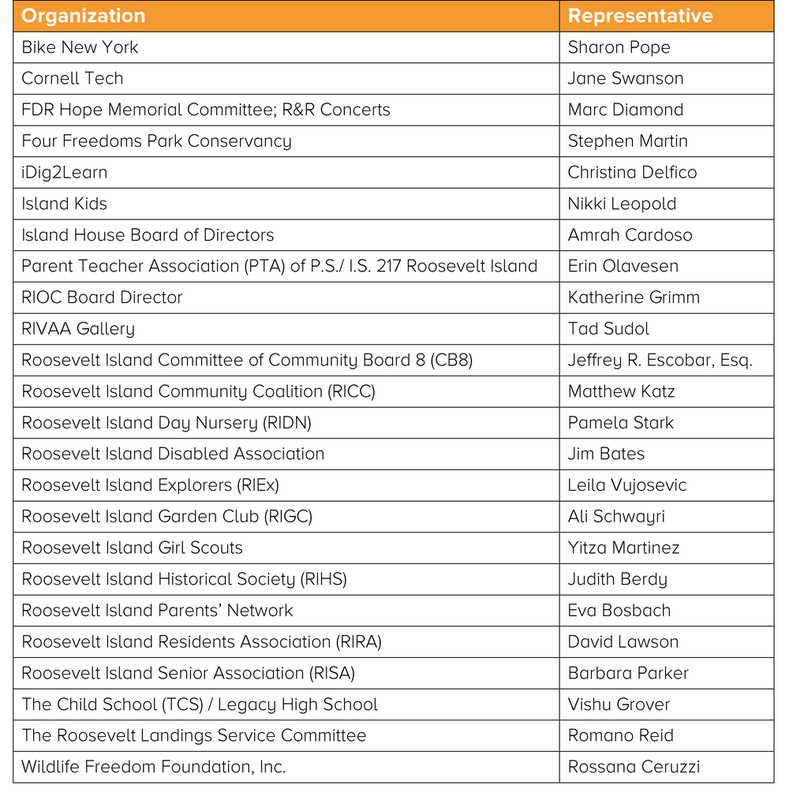 Please see below for a list of the organizations that are represented on the Community Advisory Committee.